Steeped in history, religion and art. Originally, the word “oud” refers to the generic arabic term for incense, or resinous heartwood taken from the exotic agarwood tree. Due to its unique fragrance and extraction process, Oud has gained popularity among royals, celebrities and artisans worldwide searching for fragrances that take the senses to a new level. It has become synonymous with a scent of utmost quality, layering, depth and premium sophistication. The agarwood trees in question are located in specific areas in the world – Malaysia, Burma, Cambodia, Indonesia and Brunei. The wood in these trees is of tremendous value, as the resin within them is distilled to create pure Oud scents. Furthermore, the trees that bring the most value are those left to mature for hundreds of years adding to the rarity of the fine scents. The tree must be attacked by a specific mould that diseases the heart of the tree, leaving it dark, incredibly oily and dense. It is from this bark that ‘Oud’ is created. Essential Oils (Oud Perfume) – The Oud scents that are available to purchase in the world today (such as this website) are created from essential oils derived from the wood of Agarwood. Worldwide retailers are realising Oud oils (also known as Oud) are fast becoming a popular staple scent for the rich and famous. The Wood Itself (Bakhoor) – The derived wood is gently burned on specially designed wood burners that emit a natural fragrance in homes. 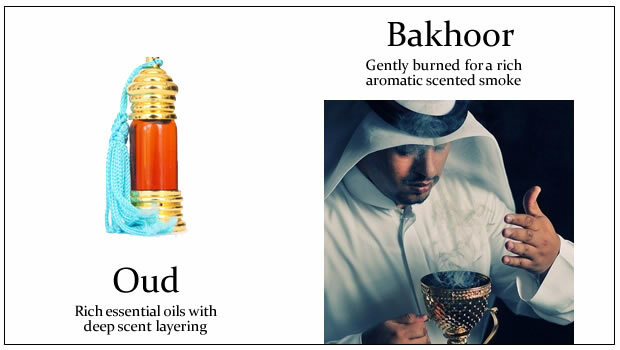 In arabian homes across the middle east, Bakhoor is used extensively to rid odours, and used as a natural air freshener. The more expensive Bakhoor are highly sought after as the scents are full of layering and depth. Oud has long been used by Royalty in the middle east as premium gifts on special events as well as peace offerings during trade missions and cultural exchanges. 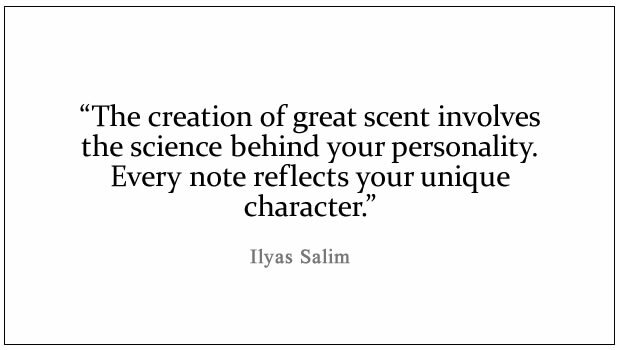 Master Perfumer Ilyas Salim has been working with Oud for over 10 years, searching the world to locate the finest quality Oud wood and Essential oils. With customers from Kazakhastan to Australia, Europe and beyond, the Scent Salim brand continues to grow rapidly. If you need the bespoke services of Ilyas Salim, contact us today. Take advantage of our passion and knowledge and we’ll work with you to make a unique scent that reflects your personality and character.